Though you can spend months and months exploring the cities, culture, religion and cuisine of Thailand, still the main reason people visit the ‘country of smiles’ is for its beaches. And these beaches are indeed unique and wonderful. Regarding diversity, beauty and well, price, the islands and beaches of Thailand can take up the race with any other beach resort in the world. And though there are enumerable beautiful coasts to choose from, the following ones are the top 5 Thailand beaches. that can provide both entertainment opportunities and idyllic isolation. Phuket, also known as the ‘Pearl of the Andaman’, is Thailand’s largest and most visited island and with good reason: clear blue sea, wonderful sunsets, sandy beaches, shops, national parks and partys await the visitor. 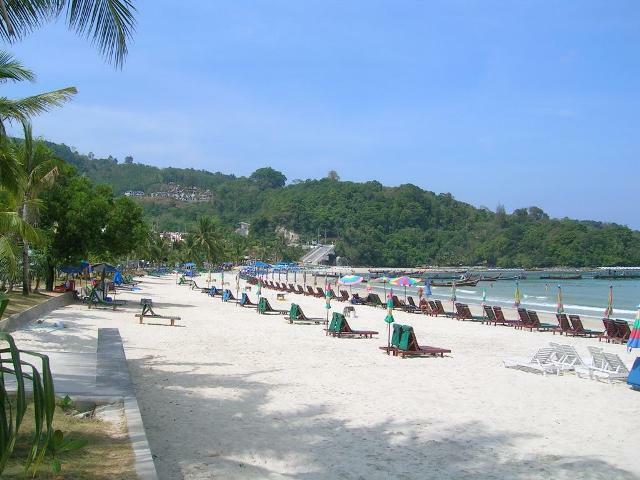 The island’s main entertainment center is Patong Beach, where you can find the a high number of pleasure-grounds, like sport centers, bars and clubs, restaurants, not to mention the best shops. The vacation houses, which are quite well equipped can be found here too. 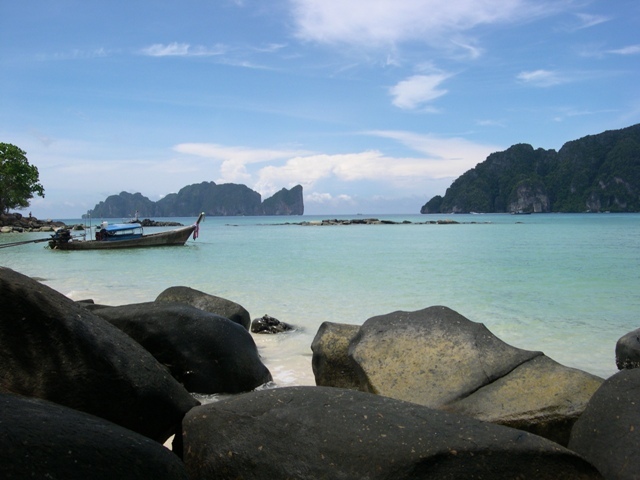 The place which is considered the paradise of rock climbers is none other than Railey Beach on the island of Krabi. Beginners and experts alike can have the time of their lives climbing the unusal, but breathtaking rock formations, which make the experience not only challenging but unforgettable too. But if you’re not into heights than you can just lie in the sun all day, enjoying a perfect weather. On the other hand you can also go roaming the surrounding jungle, which can be just as interesting an activity as climbing. 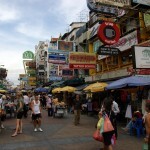 Either way, Railey has a lot to offer, though not on a same level as Patong Beach. 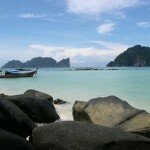 Only 40 km from Krabi, Phi Phi is made up of two islands, Ko Phi-Phi Leh and Ko Phi-Phi Don. Maya Bay is located on the first and originally acquired its fame from the movie ‘The Beach’, that stars Leonardo DiCaprio. The bay, which is surrounded by huge limestone cliffs with lush greenery, hides crystal clear emerald water in which swimming is truly a bliss. There are also lots of hotels and entertainment centers to choose from as you go further into the island, not to mention various kinds of diving opportunities. And in a clear water like that, the colorful marine life can be seen and explored more easily and without much challenge. Koh Samui is the third largest island of Thailand. 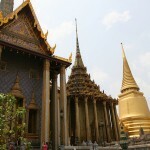 It has beautiful white sandy beaches, lots of palm trees and a really friendly atmosphere. Considered the island’s center, Chaweng Beach boasts a wide range of vibrant entertaining venues like shops and restaurants for every taste, not to mention various kinds of exotic and party-like cocktail bars. Accommodations range from cheap bungalows to luxurious five-star hotels, all being in close contact with the white-sandy beaches of Koh Samui. Various kinds of water-sporting activities are available, like kayaking, wind-surfing or snorkeling. It is the perfect get-away destination for families and young visitors alike. 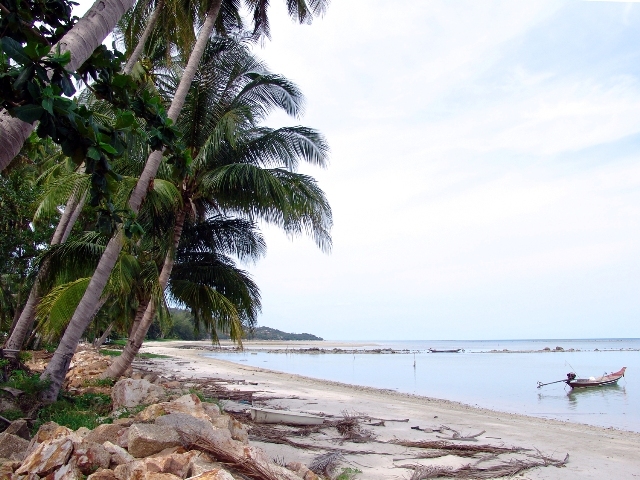 Koh Chang is an island with a lot to offer to visitors, being the second largest one in Thailand. It has a lot of beaches that are considered quite good, but for a more relaxed holiday, White Sand Beach is the perfect destination. The water in that area is what makes it memorable, being warm and salty; it makes you float like a feather. At night it gets a bit crowded and noisy but a bit if life is required anyway, even if you’re on holiday. As you could see, it doesn’t matter what kind of tastes you like when it comes to beach trips, in Thailand everyone finds the most suitable one. You could only choose from these top 5 Thailand beaches and you would be totally satisfied.